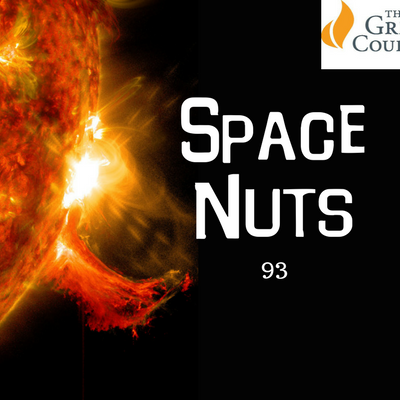 This episode of Space Nuts is brought to you by The Great Courses Plus. Learn from the greatest minds in the world at your leisure. And by using our special url, you can try all the courses for free for one whole month. You’re gonna love it...we certainly do. Just go to www.thegreatcoursesplus.com/nuts And this week we recommend you check out Radio Astronomy: Observing the Invisible Universe presented by Felix Lockman who explores the remarkable technology behind radio astronomy as well as the distant parts of the universe explored through radio waves: pulsars, quasars, supernovas…and more…You’ll love it...and learn a lot. Subscribe, rate and review Space Nuts via all good podcatcher apps, including Apple Podcasts (formerly iTunes) (featured in New & Noteworthy), audioBoom, Stitcher, Pocket Casts, Podbean, Overcast, Tunein Radio, CastBox.FM, iHeartRadio, etc.